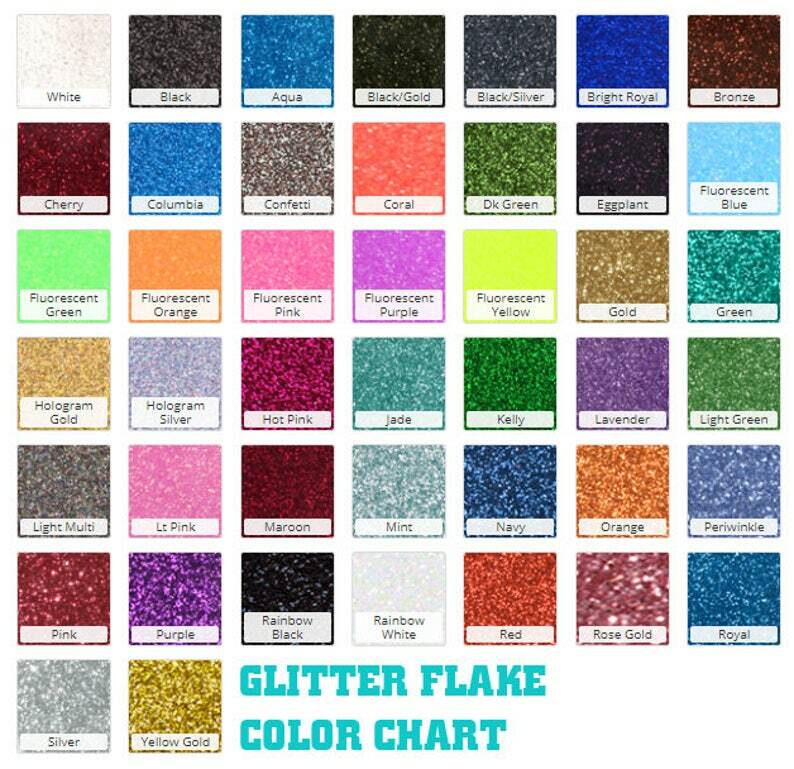 GLITTER FLAKE Professional Grade Glitter HTV. High Quality Industry Grade vinyl for Your Own Custom Shirts and Cloth! Can be easily cut with the leading vinyl cutters available today. Cuts easily with a knife, scissors and craft punches! ADHERES TO: COTTON, UNCOATED POLYESTER, COTTON/POLY BLENDS, POLY/ACRYLIC BLENDS. WILL NOT ADHERE TO NYLON! *Please Note: Due to different monitor color settings, colors shown may not be exact. Browse our store for other HTV Options and Colors! LP Inspired Ferns Pattern #1 Adhesive or HTV Heat Transfer Vinyl for Shirts Crafts and More! Brown Glitterflex Glitter HTV Heat Transfer Vinyl for Shirts Crafts and More! LP Inspired Reef Pattern #1 Adhesive or HTV Heat Transfer Vinyl for Shirts Crafts and More!